According to U.S. joint doctrine, each level of war has a corresponding level of intelligence. [i] This enables the flow of information and intelligence to move up and down each level of command. Further, the levels of intelligence construct enables leaders at all levels of war to make decisions on the allocation of intelligence capabilities. However, the paradigm of tactical, operational, and strategic intelligence does not account for institutional intelligence, or how the services and the nation plan to defeat threats in the long-term future. In U.S. joint doctrine, tactical intelligence is defined as “Tactical intelligence is used by commanders, planners, and operators for planning and conducting battles, engagements, and special missions.”[ii] Further, tactical intelligence centers on immediate threats faced by these respective commanders. The consequences of tactical intelligence failure can lead to the loss of life, the loss of equipment, and the loss of battles. However, failure of tactical intelligence is not the cause for a nation losing a war. Further, investment in and success of tactical intelligence is not a panacea for failures at the operational, strategic, and institutional levels of war. 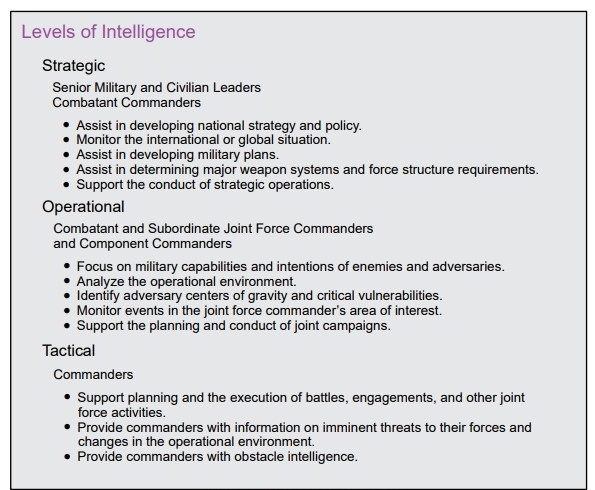 Similar to operational level planning, operational intelligence occurs within joint commands such as Combatant Commands or subordinate joint force headquarters. Operational intelligence assists commanders of various service level units to act in unison. When one nation achieves complete surprise at the onset of a war, the result is often characterized as strategic surprise, or a result of strategic intelligence failure. Examples include the surprise attack on Pearl Harbor in 1941, and Egypt’s surprise attack in the Yom Kippur War of 1973. However, these attacks incurred a strictly military defeat, both of which the United States and Israel respectively overcame. Indeed, no matter how many ships the Japanese were able to sink on December 7th, the United States possessed the institutional capacity to produce more ships and sailors than the Japanese could ever throw into the Pacific. 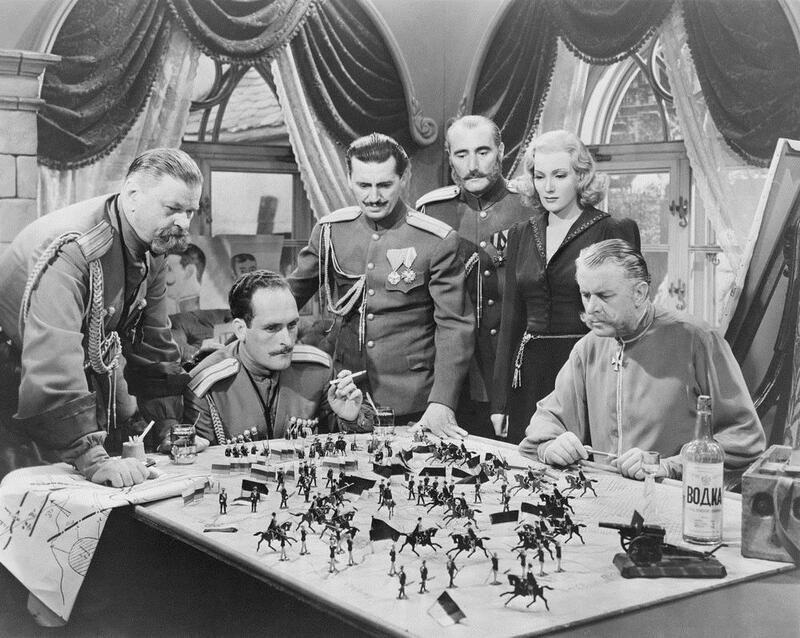 The consequences of operational intelligence failures range from the defeat of tactical units on the battlefield to the loss of theater level campaigns. However, in a similar manner to the tactical level, strategic success can overcome operational failure. U.S. Joint doctrine looks to strategic intelligence to assist in the development of weapon system and force structure requirements. [iii] While this may be true for short term changes to force structure, the long-term changes to force structure and capabilities development falls under the new concept of institutional intelligence. The consequences of strategic level failure are dire, but not necessarily a threat to the existence of a nation. At times, strategic level failure is simply the inability to predict global events. 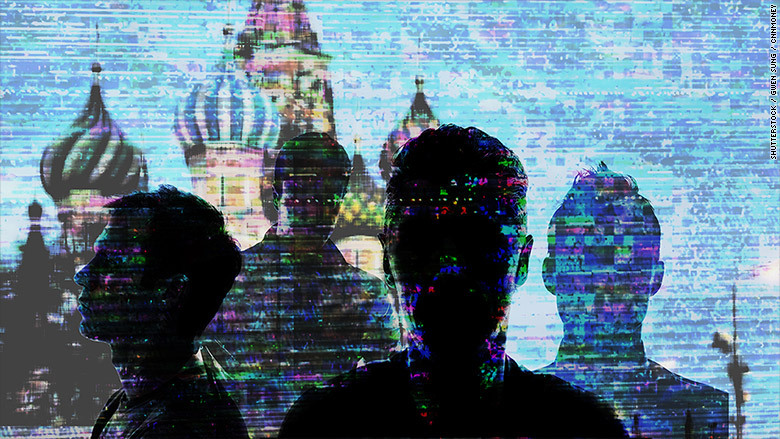 For example, the collapse of the Soviet Union surprised intelligence professionals around the globe. U.S. Joint doctrine offers up assistance in determining major weapons systems and force structure requirements as an aspect of strategic intelligence. [iv] This is where current joint doctrine misses the boat. Joint intelligence doctrine lumps capabilities development in the same bin as strategy and policy development. In doing so, the doctrine conflates two distinct skill sets of intelligence professionals, and passes on the opportunity to recognize the unique talents of intelligence personnel who can look not only at a map, but into the far and distant future. Institutional Intelligence is a combination of how the services develop planning scenarios that enable capability development for the mid to long-range future, and how the services understand the domestic environment to enable the manning, equipping, and training of the joint force. Institutional intelligence relies on assumptions more than any other level of war. In the development of scenarios, services must consider the future combat capabilities of foreign adversaries as well as the potential capabilities of our own, and allied nations. This could include advancements in weapons technology such as artillery that can shoot further, or rotary wing aviation that can fly greater distances on less fuel. More than assuming future technologies, institutional intelligence must look at possible enemies and adversaries in the distant future. While it can be safe to assume that some competitors in today’s world will be the same three decades from now, it is also possible for friendly nations to turn based on their domestic politics, as in the case of Iran in 1979. Moreover, enemies and adversaries can quickly turn into allies, as in the case of Eastern European Warsaw Pact nations following the demise of the Soviet Union. Much of institutional intelligence occurs in the unclassified domain. Documents such as the National Intelligence Council’s Global Trends Report emphasize this need. [v] Indeed, developing a picture of the future involves various research agencies, businesses, and other organizations outside of government. One of the best examples of institutional intelligence is the development of the various Army College War Games in the inter-war period. 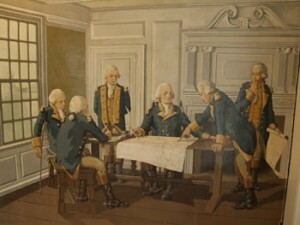 Students attending the Army War College at Carlisle Barracks, Pennsylvania planned against potential conflicts against a variety of nations. These scenarios led to the development of War Plan Orange, the plan to defeat Japan, which was, conceptualized prior the bombing of Pearl Harbor. Tactical, Operational, and Strategic Intelligence tend to focus on the operational environment overseas. Any intelligence shop of value to a commander visualizes aspects of the terrain, the population, and enemy forces. Institutional intelligence is paramount in how the military prepares for the next war. Operational and Strategic leaders must know and understand the domestic environment as a way of understanding the capabilities of their own service. Institutional intelligence should focus on domestic conditions. Leaders responsible for manning, equipping, and training the force must understand domestic demographics and trends. This aids in decisions such as where and how to focus recruitment efforts, and how to encourage career service members to stay in the force. Military strategists and those responsible for raising a force should understand the domestic economy and its impact on recruitment and retention of service members. Unlike intelligence focused on the enemy, institutional intelligence should provide leaders with an understanding of high tech corporations as a competitor for human capital. When China or Russia implements a new military or economic policy, hordes of analysts study the impacts it may have in the event of a conflict. The US military should do the same as domestic policy changes in line with election cycles. Knowing oneself has long been mantra of wise advice. The Oracle at Delphi, Sun Tzu, and Army doctrine on leadership have all advocated for understanding yourself before fighting an adversary. Nations across the globe spend enormous amount of resources on understanding foreign nations and the likelihood of future conflict. The United States invests in the study of nations like Iran, Iraq, Afghanistan, China, and Russia to gain an understanding on how they may conduct warfare in the future. Indeed, the United States Army has an entire functional area of foreign affairs officers who serve commanders and US embassies as experts on various nations and regions across the globe. The nation that has the most impact on the nature of a conflict is our own. The enemy does get a vote, but our vote still counts. Understanding our own nation’s demographics and culture to build an Army around it is equally if not more paramount for success in future conflict. [i] Joint Publication 2-0. Joint Intelligence. 22 October 2013. [ii] Joint Publication 2-0. Joint Intelligence. 22 October 2013. [vi] Williamson Murray. 1983. Strategy For Defeat The Luftwaffe 1933-1945. Air University Press. Maxwell Airforce Base, Alabama. Operational Planning Team leaders typically come from either the J5 or the J35 on a joint staff. However, an OPT lead can come from any part of a staff. OPTs that stand up to solve logistical problems may have a leader from the J4, while OPTs solving force protection related issues may come from the protection cell, or J34. The best analogy for the role of an OPT leader is that of a head coach in professional sports. OPT leads must understand the planning process to guide their team through planning. They must understand the rules that govern planning, and ensure the team follows them at every step. Further, much like athletic coaches, OPT leaders must manage the wide range of personalities on their team. Just as commanders are responsible for unit cohesion, OPT leads are responsible for the cohesion and teamwork within their OPT. Formal duties of the OPT leader include establishing the OPT’s battle-rhythm, and integrating it into the broader staff’s battle rhythm. Further, the OPT leader communicates the commander’s intent to the planning team, ensuring each step of the planning process is in line with said intent. Third, the OPT leader is responsible for every product the OPT produces, or fails to produce. This includes briefings, orders, commander’s estimates, or any other product sent to the commander and subordinate units. OPT leaders must be prepared to answer for anything the OPT does or fails to do. This latter aspect demands that the OPT leaders continually communicate with the Chief of Plans and other senior leaders on the staff. The least important aspect of an OPT leader is rank. OPT leaders normally range from Majors to Colonels. However, for an OPT lead, rank is of less significance than influence. Indeed, a young major running an OPT may have officers senior in rank on his team. When rank becomes an issue, the OPT lead must leverage the senior officers in the room to get through the problem. OPT leaders must be comfortable with this paradigm. Much like an executive officer, the first responsibility of an OPT deputy is to lead the planning team when the OPT leader is not present. In this aspect, the selection of an OPT deputy is one of the most important decisions leaders on staff can make. An OPT leader must have confidence in his or her deputy that work will carry on, and products will continue in their progression when they are away from the team. More than serve as the head of an OPT in the leader’s absence, an OPT deputy is the enforcer of the OPTs rules. In this aspect, the OPT deputy is similar to a Chief of Staff. The deputy must enforce timelines, ensuring that the mission analysis, course of action development, or other step of the planning process is complete, with respective products prepared for presentation to senior leaders and decision makers. Moreover, the deputy enforces the OPT Leader’s battle rhythm and ensures all personnel participate in the process at the proper time. Other responsibilities of the OPT deputy include ensuring attendance at critical meetings, and representation of the OPT in other battle rhythm events. The OPT deputy must enforce a process where attendees at other events (CUB, Rules of Engagement Working Group, etc..) share their information with the entirety of the OPT. Indeed, updates from OPT members and subject matter experts should be a part of the OPT’s internal battle rhythm. All planning involves organizations above, below, and parallel to the team conducing the planning. Combatant Commands have supporting commands, subordinate service components, and answer to OSD and Joint Staff. Liaison Officers ensure the smooth communication between various organizations who have a role in high-level problem solving. The Operational Planning Team must ensure respective LNOs are present at key briefings and meetings. However, OPT leads should understand that LNOs are one deep. Often, they are expected to attend other meetings occurring within the command’s battle rhythm. OPT leaders should clearly communicate when the attendance of an LNO is necessary to continue planning. It is important to understand that LNOs do now work for the OPT leader; rather they work for their parent command. As such, LNOs should be knowledgeable in their parent organization’s capabilities and limitations and be familiar with their commander’s intent and concept of operations. Just as LNOs communicate with their respective commands, they must continually answer requests for information from the planning team. Every planning team needs a person to serve in an administrative role. This person will ensure that the planning team compiles, organizes and posts information in a logical manner to aid the planning process and to preserve information for future reference. This may mean posting documents on a portal page, or compiling read-ahead binders for leadership prior to a briefing. The planner serving in the administration role should also capture any lessons learned or key insights that pop up throughout planning. Every planner should have a fair level of skepticism. However, full time skeptics, devil’s advocates, or red team members are essential to the development of every plan. Indeed, the joint military community now emphasizes the importance of Red Teams through an entire appendix in the 2017 version of Joint Publication 5-0, Joint Planning. A quality Red Team will help the planning team identify areas of risk within their respective plan. This may be through challenging planning assumptions, or though the pre-mortem analysis method. A quality red team will force the rest of the OPT to think critically and to consider alternative points of view. Understanding points of possible failure, and mitigating those points enhances the viability of a plan. This translates into saved lives. When planning teams move to a 24-hour cycle, it is the night shift that will make or break the OPT. OPT leaders must carefully select who will work at night, carefully avoiding the temptation to stack the deck with the best planners on day shift. As the battle-rhythm tends to slow at night, the night shift is often responsible for the improvement and finalization of the morning briefings. Further, OPT leaders should consider putting their best writers on the night shift. These writers can take the time at night to develop the word products such as the Commander’s Estimate, Warning Orders, and Operations Orders. Orders are the ways in which military organizations communicate with one another, and serve as the primary means for tasking subordinate units. The night shift requires smart planners who are familiar with doctrine to produce these documents for the command. OPTs perform at a high level when every element of the staff shows up. Every J-Code (J1-J9) and special staff (e.g. Public Affairs, Legal) should contribute to the problem solving that takes place within an OPT. More than providing deep knowledge within their respective areas, functional experts are responsible for keeping leaders in their J-Codes and staff sections up to date on the work of the planning team. It would be hard to take a planning team planning an operation against Russia without representation and participation from the local Russian expert. It is incumbent upon the OPT leader to ensure that experts on a country, or problem set offer their perspective. For example, when planning a humanitarian assistance mission, it is necessary to have the local USAID/OFDA staff member in the room. Before work begins, it is paramount for operational planning team leaders to understand who need to be in the room. As I have mentioned in previous essays, nobody has a monopoly on knowledge. The ability for an OPT leader to look around the room and recognize human capital shortfalls is often the differnence between success and failure. The Dead Prussian is one of the best Podcasts going. At the end of each interview, the host, Mick Cook asks each guest to complete the following sentence; War is… The answers vary, and range from Clausewitz’s “war is politics by other means” to creative answers such as “war is fashion by other means.” Here is my attempt to define war, with a deliberate attempt NOT to revert to Clausewitz’s definition. War is Ying and Yang. War reveals. War exposes the best and worst of human beings. Famously there are the cases of My Lai and Lieutenant Calley and Private First Class Green in Yusifiyah. In these cases war exposed at the individual level the worst in mankind. War exposed the worst of American men and women at Abu Ghraib, who prior to serving at the prison were upstanding soldiers. War shows who should hold power and positions of responsibility, and who should never be in charge of another human being. Moreover, a simple review of history shows at the organizational level, the use of military force has enabled some of the worst atrocities of mankind. With every ying there is a yang, and with the worst comes the best. While war exposed the worst of man at Mai Lai, it exposed heroic men who chose to stand against evil. The actions of Chief Warrant Officer Hugh Thompson Jr. gives hope to those who believe in the inherent good of our fellow human beings. Just as the use of military power enables evil, it is consistently a force of good. The good ranges from the liberation of European and Asian nations in the Second World War, to the scores of humanitarian assistance missions following natural disasters. Revealing the best and worst of us happens in more cases than famous massacres and Medal of Honor earning moments. The ying and the yang of warfare reveals who can speak truth to power and those that serve as yes men to their commanders. In the latter, war exposes who will report up to higher authorities the information they want to hear. A short reading on the history of Vietnam exposes the latter. War destroys. The violence of warfare destroys lives in savage ways. The destruction of lives occurs on a daily basis. Opposing sides in war aim to kill their enemies until their side has achieved its respective political aim. However, death and destruction is never limited to those who carry weapons and wear a uniform. Civilians and non-combatants often find themselves victims of fighting. War can destroy their property through an errant missile strike, and war can take an innocent’s life all the same. Not only does war snuff out the literal lives of those fighting and caught in the crossfires, war can destroy the future. 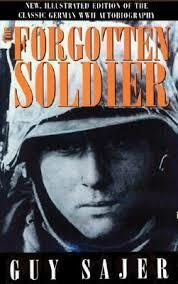 Illustrating how war can take away the future is a passage from Guy Sajer’s masterpiece The Forgotten Soldier. War took away the future. A marriage that never happened, kids that were never born, grandchildren that were never spoiled. They may have survived the war, but their dreams were gone. The ying and yang list can go on forever. War creates and war destroys; war exposes the best and exposes the worst; war reveals the truth tellers and reveals the frauds, war strengthens and war weakens. As national leaders consider the use of military force to solve their nation’s problems, it is worth remembering that for every potential positive outcome, there is an equally potential disaster looming on the horizon. At some point, every officer embarking on his or her first tour at the operational or strategic level experiences a level of trepidation. Indeed, leaving the comforts of tactical level planning can be a scary ride. Higher echelons f planning push people to level of mental discomfort they have rarely contended with in previous jobs. The following is a litany of advice on attaining success at higher staff levels. Further considerations in the strategic mindset are reframing understanding of time. At operational and strategic levels, the decision cycle slows down. When compared to decisions at the tactical level, getting a 4-star commander to make a decision can take eons. Moreover, attaining decisions from strategic leaders often means obtaining consensus within the rest of the staff. This takes time. Luckily, it takes time to get onto the calendar of said decision makers, which allows ample time to build the required consensus. Gaining consensus should not sacrifice the quality of the product. Planners must understand and consider which hills to die on when moving papers and briefings through review. Solving issues at the action officer or O6 level is typically the best course of action. However, planners should cultivate an understanding on what is non-negotiable for their directors. When appropriate, let the flag officers have the discussion, and wait patiently for their guidance. The consensus aspect is an underrated part of planning. The best officers know whose opinions are valued by the commander, and those whose opinions are nice to have. Some of this is dictated by personality, and sometimes this is dictated by position. For example, the public affairs section and the operational law section should comment on nearly every product or plan. Indeed, senior leaders will often ask at the onset of a presentation what legal or public affairs thought of the plan or product. A second key to success at higher echelons is the ability to write. Operational and strategic level planners cannot rely on PowerPoint skills to get them through their time. The best planners communicate complex ideas through the written word. Planners exercise their power though writing commander’s estimates, position papers, information papers, and white papers. Moreover, these papers must be succinct and to the point. Pride cometh before the fall. In terms of writing, planners quickly learn that writing is a team sport. Every directorate and division within a staff must have the opportunity to comment on as well as concur or non-concur on every paper. Although papers that reach decision makers contain input from multiple people, there is one primary officer responsible for the paper. Key to navigating this nuance is writing fast enough to ensure all interested parties have the time to review and comment. Avoid emotional attachment to staff papers. If you want to become a better writer, the first step is reading. If you find yourself assigned to an operational or strategic level staff, chances are you made the decision to become a lifer. Like it or not, the military is your career, and as a career officer you have a duty to continually mold your intellectual apparatus. This means reading. Reading is not limited to professional journals and books. Staff officers must remain current on relevant joint and service doctrine. Officers on joint staffs should take the time to read new army, navy, air force or Marine Corps doctrine. Officers in a service level assignment should take the time to read both joint doctrine and concepts. Further, planners need to read new national level guidance such as the National Security Strategy or National Defense Strategy. Planners at higher echelons of command should form their own professional development-reading list. This should include daily news articles, professional journals (both hard copies and internet sites), books covering a wide range of subjects from fiction to history, to economics, and warfighting. Planners should invest their time improving briefing skills prior to their first day at an operational or strategic level staff. The old saying “you never get a second chance to make a first impression” holds steady vis-à-vis senior leaders. Fouling up a briefing early in an assignment often has cascading effects that will minimize the impact of a planner throughout his or her tour. It is vital to rehearse every brief, and to anticipate questions from the audience. Unlike tactical level briefings, those sitting around the table will have less knowledge on a subject than the briefer. Questions are not meant to test the briefer, but rather to develop a better understanding of a problem or a solution. In this aspect, “I don’t know” is better than providing inaccurate information. Knowing the audience is a universal aspect of public speaking. The first brief should never be the best brief. Over time, the best planners adapt their briefing style to the desires of their senior leaders. Some senior leaders may pepper a briefer with questions on every slide; others will hold their questions until the end of the brief. Further, you will find that many senior leaders take the time to read their read-ahead packets, and skip right to the questions at the onset. As a planner, never shy away from asking other members of the staff with briefing experience how key leaders like their briefings. The best planners are subject matter experts in their own respective areas. This seemingly obvious statement has a deeper meaning. An Army officer serving on a joint task force or combatant command staff needs to be the expert in all things army. Wayne Gretzky once said, “You miss 100 percent of the shots you don’t take.” In a similar manner, you miss 100 percent of the information that comes out of a meeting you do not attend. The battle rhythm of every joint command fills up with a multitude of meetings. It is prudent to sit in on as many as you can. The various working groups and ongoing OPTs will help any planner in their ability to understand the commander’s priorities and major issues affecting the command. Further, attending meetings will allow a planner to offer their input into various projects as a way to advance their own priorities. Do not wait for an invitation to these meetings, and don’t wait for your boss to tell you to attend. This is a critical aspect of making yourself relevant. The first measure of a successful staff officer is knowing whether or not people rely on you for information. If you find other members of the staff constantly coming by your desk for advice and information, or if other members of the command consistently call you asking for products, then you have attained success. When flag officers or the commander ping your desk, then your success is at a completely new level. Finally, C.S. Lewis once described an inner ring. Belonging to this inner ring meant “It is tiring and unhealthy to lose your Saturday afternoons: but to have them free because you don’t matter, that is much worse.” Indeed, it is better to work on a weekend, than deemed irrelevant to solving a problem at hand. Successful staff officers know the call is coming. When compared to operational and joint level planning, tactical and service level planning such as the army’s military decision-making process (MDMP) is quite easy. Before we look at the details of leading and understanding operational planning teams (OPTs) it is worth the time to discuss the differences between tactical or service level planning, and planning at the operational level of war. Tactical planning tends to be directive in nature. Once the commander decides on a way ahead, the staff and subordinate units salute and move out. At the operational level, planning and guidance is a dialogue. Officers working at the operational and joint level quickly realize that they are rarely the expert on any givin problem set. Planners at all levels must be comfortable with picking up the telephone to call planners at higher levels to discuss published orders to determine the intent or meaning of language in such orders. This demand is because planners at the operational and strategic level can be inexperienced and unfamiliar with joint level operations and processes. Not only must operational level commanders conduct a dialogue with adjacent and higher level organizations, said dialogue may lead to non-doctrinal solutions or answers. Civilians working at the Department of Defense are not tied to short and concise mission statements. Indeed, at the operational level, mission statements of a combatant command or multi-national task force are a form of strategic communication to the rest of the world. Planners at this level must be comfortable taking direction from men and women who do not care what is written inside of an Army Doctrinal Reference Publication (ADRP). The last key difference between tactical and operational level planning is the speed of decision-making. The higher-level one works, the slower pace of decisions. While tactical commanders have the luxury of gut instinct type decisions, operational and strategic leaders must carefully weigh their decisions against known and unknown information. Moreover, this slower pace is critical, as the results of decisions at higher level tend to have a greater impact on both the mission and the force. Indeed, at higher levels of war, decision-making is more deliberate and dictated by a battle rhythm. At the tactical level, staffs can often walk into the office of the commander, while at the operational level, commanders schedule their respective schedules around the decisions they make. When decisions are made outside of the normal battle rhythm, it takes time for planners to get on the commander’s calendar, and to ensure the rest of the command and staff concurs with the recommendation. This takes time. Despite the similarities in the service level and joint planning processes, the skill set required for each is unique. Leaders of OPTs need to take the time to consider and think through the nature and character of leadership and planning at the operational level of war. Operational planning demands patience, the ability to negotiate through complexity, and the ability to manage a variety of personalities each with their own sets of expertise. Reviewing "A Passion for Leadership; Lessons on Change and Reform from Fifty Years of Public Service"
Following his retirement from public service, former CIA Director and Defense Secretary Robert M. Gates authored two books. The first was a memoir of his time as Secretary of Defense, his second detailed the leadership lessons he learned over a lifetime of public service. In A Passion for Leadership, Gates uses his lessons learned as the Director of the CIA, President of Texas A&M, and Secretary of Defense to write about leading change in large bureaucratic organizations. Gates focuses on a leader's ability to build teams and break down stovepipes as essential elements of strategic leadership. In building teams, Gates reflects that changing an organization may require a leader sacrifice speed of change with a gain of getting change right. Slowing down the pace allows for greater buy in of a program, as well as better-developed recommendations from all those involved. Leaders attain buy in for a program thorough more than time, they do so by breaking down organizational silos. In important aspect of leading change, according to Gates, is the ability to break down barriers internal to an organization. In the military, this means members of various J-Codes need to work together to solve problems. Gates advocates for the stand-up of cross cutting task forces to design and implement change. With the stand-up of task forces, Gates highlights that all parts of an organization will become part of the process for proposing and implementing change. Indeed, Gates used this method at Texas A&M, the CIA, and the Department of Defense to ensure every section of each respective bureaucracy had a stake in their institutional change. For example, as head of the CIA, Gates created multiple task forces to redirect the focus of intelligence away from the Cold War mindset. Gates also reflects on the value of investing in personal relationships to help in gaining support for change proposals. This may mean frequent meetings with academics and state legislatures while serving at a public university, or taking the time to engage with people on the hill while serving in the Pentagon or at Langley. Most leaders understand the need to elevate high performers, and those who add value to a team. Gates takes the time to reflect on the importance of this aspect of leadership, but follows this up with techniques on removing people who obstruct progress. Gates understands that public servants at high levels operate under different laws and regulations when it comes to removing people from their positions. Further, Gates details the importance of reflecting on the positives of previous public service (some of which last a lifetime) when an individual is removed from a position. Removing or firing people in Gates’s opinion must be done with respect and care. Indeed, offering people the flexibility to resign over a period of months allows the space to find new talent while keeping a semblance of continuity for an organization. This book is a primer for military officers who look to lead at the operational and strategic levels. Further, it serves as a guide to career and appointed leadership in government on how to lead change in large organizations. It is a fast read, and a worthwhile addition to any leader’s bookshelf. We have a history of hoping for the best. We hope for the best because war, of all things on this earth, is predictable. Both Napoleon and Hitler understood that invading Russia would result in the loss of hundreds of thousands of soldiers and eventually lead to their respective downfall. They knew and communicated this risk to the citizens of France and Nazi Germany. We can look to obscure wars such as Russia’s war with Japan back at the turn of the twentieth century. The Tsar sent his fleet into the Pacific only after a proper net-assessment of their adversary. The Tsar knew his fleet would be destroyed, and that the war would lead to the outbreak of Japanese colonialism over the next four decades. As Germany, France, and Britain went to war in 1914, each nation foresaw the horrors of the Somme, and Verdun. Military planners clearly articulated the risk of invading Belgium to Kaiser Wilhelm, and the statistical probability that 750,000 German citizens would die from starvation due to the allied blockade. Accurately predicting the outcome of war is not unique to foreign nations. When Eisenhower and Kennedy pushed advisers into Vietnam, they did so with an understanding that the conflict would turn into a war, and that an enemy so clearly outmatched in terms of technology could kill over 58,000 Americans. President Johnson and his Best and Brightest Team prepared the public for the horrors of Mai Lai. Moreover, when congress passed the Gulf of Tonkin Resolution, each voting member knew how the ever-expanding war would divide the nation and have impacts on foreign and domestic policy that still resonate today. In 2003, America went to war with the Army we had, because that is exactly the Army we needed to invade and occupy Iraq. Indeed, not only did we have the army we needed, but we wargamed against the exact enemy we would fight. I distinctly remember going to war, and receiving briefs on what would occur in places like Avu Ghraib, Yusifiyah, and Haditha. When, in 2011, America left Iraq, we had the understanding that a Junior Varsity Team could never conquer large swaths of territory and incite fear and violence across the globe. Thank god that never happened. When we think about possible conflicts with North Korea, Iran, or any other nation, we should keep in mind how war always moves in unexpected directions. There is a dearth of books on hockey. At the top of any list of the greatest hockey books, Ken Drydan’s The Game is at the top of the list by 31 lengths. Hockey books that come into the discussion at number two include Jack Falla’s Home Ice and Open Ice and Wayne Coffey's The Boys of Winter. With the publication of Behind the Bench, Craig Custance puts his work into the discussion for number two on the list. Behind the Bench is a look at the minds and methods of eleven of the best hockey coaches in the game today. More than a discussion of Xs and Os, Custance takes a unique perspective, and turns a hockey book into a leadership book, similar to what one would find in the business section of the local Barnes and Noble. Custance leadership themes that run throughout the book include the ability to manage talent, the role of luck, and the role of self-reflection, enabling leaders to engage as lifelong students of their profession. As an Army Officer, I found many of Custance’s insights similar to what I have observed in the military (I wrote this a couple years back on how hockey prepared me for life in the military). For instance, coaches had their own theory and ways of managing talent. At the professional level, this seems to be key to success. Each coach from Dan Bylsma and Jack Sullivan who coach Sidney Crosby and Geno Malkin, to Joe Quenneville who has coached Blackhawk teams with the talent of Jonathan Toews and Patrick Kaine developed a method to motivate the greatest players in the world. Moreover, each coach had to find ways to encourage the second and third tier players in their respective championship runs. It becomes apparent that the ability to manage talent in professional hockey relates to the ways that commanders and leaders manage men and women serving under them. A second insight Custance brings out is the aspect of luck. Indeed, the great military strategist Carl von Clausewitz, in his seminal book On War, wrote of the effects of Fog, Friction, and Chance. Specifically, Clausewitz wrote that chance is the unpredictable circumstances that consistently occur in war. In each game, a lucky bounce of the puck or a missed call can be the difference between victory and defeat. Indeed, Coach Quenneville of the Chicago Blackhawks stated, “That’s a part nobody ever wants to talk about when winning a Stanley Cup. Luck is such a big part of it.” Chance, in war and in hockey reigns supreme. A third insight worth mentioning is realizing that nobody has a monopoly on knowledge. Custance writes that the best ideas on advancing the game come from rookies and veterans alike. While interviewing Mike Babcock, Coach Babcock states, “That’s how you create change. You steal ideas from CEOs. You steal ideas from other coaches. You steal ideas from the person who serves up the coffee at Tim Hortons.” The best military leaders understand this powerful philosophy. From the rank of private to four star general, everyone has something to offer. The book is not without its shortcomings. Custance is all over the map in his interviews and discussions with some of the coaches. Although Custance articulates the philosophy of each coach, they go back and forth between philosophies on coaching, leadership, and life. A better structure within each section could make this book even better. A second shortcoming is the reliance on current coaches. Although some of the great coaches such as Al Arbour and Bob Johnson have passed, an improvement on the book would have included an interview with Glen Sather, coach of the Oiler’s 1980s dynasty, or even Scotty Bowman, coach of multiple Red Wing Stanly Cup championship teams. Understanding how these men managed the likes of Wayne Gretzky, Each of these men would meet Custance’s criteria of having won either a Stanly Cup, World Championship, or Gold Medal. In terms of selection, Custance limited his interviews to coaches of men’s teams. Both the United States and Canada continue to field the best in women’s hockey. Ben Smith coached the USA team to a gold medal in 1998, while team Canada won on home ice in 2010 under coach Melody Davidson. At the very least including, a chapter or two on women’s coaches could lead to a wider audience. Family sacrifice seems to be an unexplored topic of professional coaches. Head and assistant coaching jobs typically last a few years before a team moves in another direction. A head coach and his or her family must be comfortable with uncertainty. Even at the highest levels, where salaries can mitigate the impact of these decisions, kids still make friends at school, and the constant moving from city to city takes a toll. This topic is near and dear to my heart, as it is to so many other military families who pack up and move every three to four years. Overall, Behind the Bench is a worthwhile investment to add to any leader’s bookshelf.